HitMaker Music School is grateful for all of the new students and instructors that have come on-board in 2018. Our student numbers are still growing now that we have more space. 8 rooms! Of course, most families are seeking out the most convenient times after school and after work so, there is still limits to where we can book your lessons. If you are still looking for music lessons, please contact us now to set up a tour, 512-549-2454. As we go into 2019, there will be more and more students enrolling for the best available time-slots. HitMaker Music School Awards Program! Every 3 months, HitMaker students will have student recognition week. When they meet with their private instructor, they review short term goals that the students and instructors set together. We believe in marking reasonable progress within a reasonable amount of time. This is a low stress goal that the students will achieve and be awarded for with a cool wristband, a FREE kids meal from Mighty Fine Burgers, and sometimes a medal will also be presented. Of course, bragging rights are included too. All for free. Talk to your instructor about it today! PICTURE DAY: Creating great memories! We are planning another FREE student picture day coming this fall, likely in November. Your students can have their photo taken with a professional photographer and we will give you a framed print – all for FREE! Please keep an eye out for registration via email. It’s Limited. Elainie R. Lucy M., Kaya N. Benny Z. Coby H. Charlotte A. Joceline A. Brooklyn L. Lincoln S. Lucas S Ishan S. Aryan M. Amber P. Olivia B. Sophia E.. Jett J. Easton P. Elena P. Venugopala M. Yashas G. Kendell M. Cassidy M. Bradley F. Jessica A. Alex A. 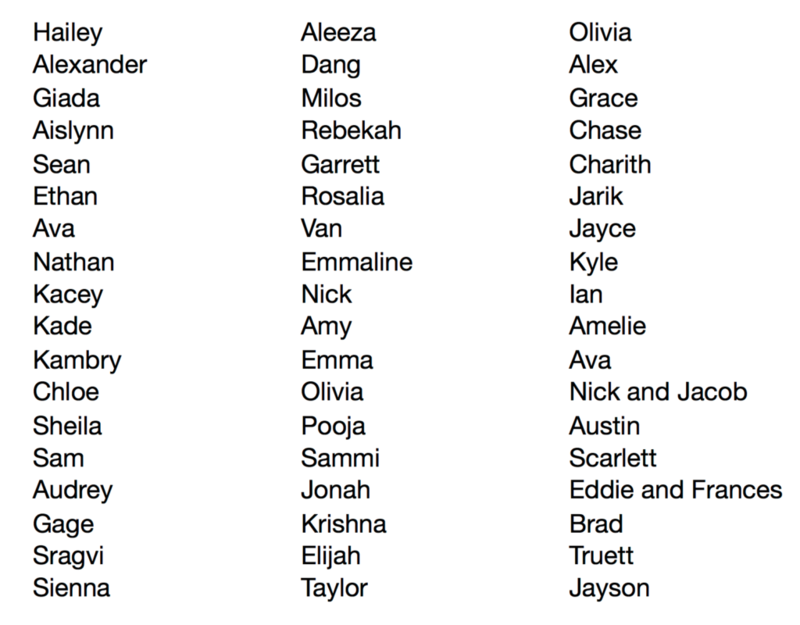 Van U. Dylan U. Dylan A. Mason F. Keanan S. Abigail L. Addie F. Mauricio F. Virginia L. Reggie D. Sam W. Anthony S. Doug M. Smarana K. Ellie B. Daniel Z. Oliver Z. Jasmin L. Sophia D. Alex C. Cole C. Larry C. Maddison P. Adrian K. Mihir M. Maheeka M Blanka K. Linda B. We have over 200 students weekly for private lessons! 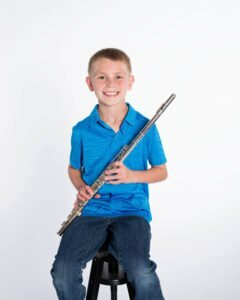 Why is everyone interested in taking music lessons? Science: Music is a combination of notes. Notes are vibrations. We typically tune to “A – 440.” That literally means the we are hearing 440 vibrations per second. If you could pound the dashboard 440 times per second you would hear the note A, below middle C, ringing from the dash. Interestingly, Earth’s gravity plays a big roll in how music is heard. What does David Bowie sound like on the Moon? Math: Music is rhythmic, rhythm is a repetitive beat that requires counting and counting is math. Musicians have to sub divide the count to create rhythm. The simple math is 4 quarter notes, 8 eighth note and 16 sixteenth notes per measure of 4/4 time. “4/4” means four quarter notes. Since math is infinite so are the time signatures. But we usually see 4/4, 3/4, 2/4 or 6/8 time. Language: The composer, conductor, musicians and arrangers all need to be speaking the same language on and off the paper to communicate well. We have to learn reading, writing, aural translation, and listening skills in music lessons just like we do in English 101. We haven’t even mentioned the emotional language that is inherent of that special song(s). History: Music is a reflective time capsule of the history of the world. It must be well preserved as it maps our course through time and helps future generations understand these moments in time intimately. The feelings and thoughts of countless generations is contained in the music. What makes it more exciting is that it can be reproduced and reinterpreted by the musician. Essentially, immortalizing the ideals and the composers themselves. Phys. 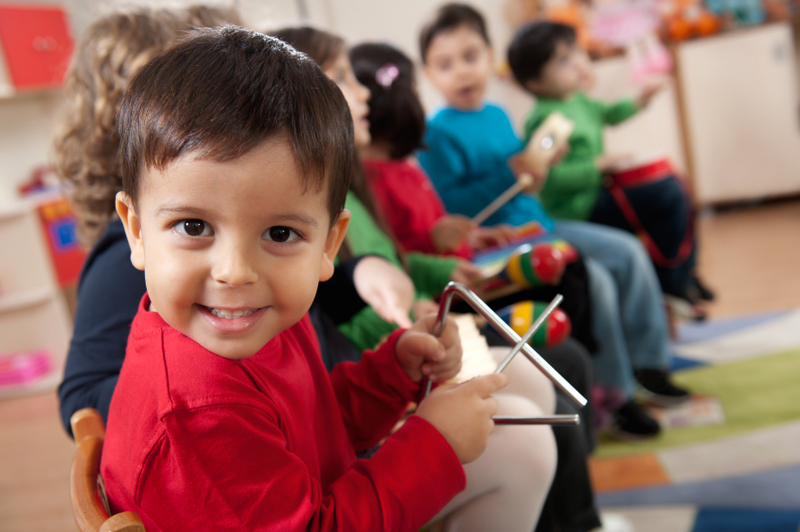 Ed: Playing and singing music requires intense coordination of fingers, hands, arms, control of facial muscles, breathing, the diaphragm, back, posture, all while concentrating on the music itself. If you have ever played an instrument or sang, you know that there is a lot going on both physically and mentally. The amount of energy required to play any instrument or especially singing, is far greater than most may realize. Art: Music is expression. One person can play or sing a song one way and the next person interprets the same song differently. The musician is drawing from his/her own history, their life experiences, past musical influences, the human condition. We, the listener, can learn so much from music in the same way a good book teaches. Music helps us to understand each other in a way that our spoken languages can not. It affords us the freedom to express the circumstances and commonalities of all people. Truly, music is a great gift. HitMaker Music School Cedar Park Leander Austin. This year has been pretty fun, so far. We have had a lot of students earn their first Musical Ladder wristbands and Trophies. Students set goals with their teacher in music lessons and then test to earn awards. It is a fun way to help students make progress in their music lessons. Since we had moved to our location in Cedar Park, there has been a flood of new students coming to sign up for piano lesson, guitar lessons, voice, drum lessons, bass, banjo, flute, mandolin and more. We are truly grateful for the opportunity to serve the community in this way. This month we will have our first recital of the year. On February 10th, students will take the stage to perform music from a wide range of genres and decades. Some of the student will be playing in our “rock band” this recital. We had practice a couple weekends to prepare for the performance. Then, on February 23rd we will be performing at the Leander Chamber of Commerce annual business expo. This is always a great event where can meet with a lot of our friends and friends to be about the mission of carrying the music forward. We love getting to meet you all and the kids love getting to perform in a public setting. In the month May, we will also be performing at the Old Town Leander street festival produced by The Leander Chamber of Commerce. Again, our kids will have a chance to perform in a real concert at a public event. So many performance opportunities – that is why we are HitMakers! Our students come to us from Austin, Cedar Park, Leander, Liberty Hill, Georgetown, and Round Rock, thanks to our convenient location. Say hello to 2018! We have seen a lot of growth in the past couple years. Now, our music school has 8 private rooms to help accommodate the student load. Many thanks to all of the great students and families who believe in investment time and resources into music, as a lifelong skill. You’re our kind of people because you never know. 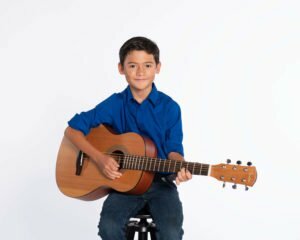 A student who learns how to play guitar this year may end up becoming a HITMAKER for real on the billboard music charts. Or, he may just enjoy being able to have the outlet of music to call on for a good feeling and joyful activity. Everyone at HitMaker Music School believes in the joy of music and the joy of passing on the skill. That is why we are the area’s best music school. We love what we do! We are all trying to help our kids discover what they enjoy or love doing. Maybe even trying to find their passion. How can we help our son or daughter through enrichment activities. Sports, music lessons, dance, cheer, marching band, karate, and the list goes on. “If he could find something that he loves to do…” It’s a struggle sometimes because kids are constantly changing in just about every way. Think about how much your kids have changed in the last 5 years… then, ask yourself how much you have changed. The point is, kids are growing at a much fast tempo than us adults. In private music lessons, the student and the instructor work at a pace that is suitable and begin building skills and fundamental knowledge of music. It’s true that we all have musical ability, albeit in varying degrees. Even if you’re not a player, pretty much everyone enjoys music, listens to it on a daily basis and has emotional attachment to certain songs from their past and present. So, how do you know you should start taking music lessons? Are they being exposed to a variety of music genres? Try digging up the music on Youtube and see what they like. Does anyone inspire them? Ask what parts they like best in the song. Not sure? Start with piano. If your kids are not sure where to start, we would recommend piano lessons. 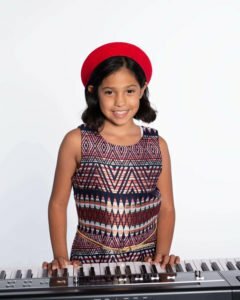 Making sound on the piano (or keyboard) is easy from the beginning and students will learn the foundations of music, a skill that could be used to play any instrument. Plus, piano lessons can begin at a younger age. We recommend ages 6 and up. Pst, we also have a number of adult students. We couldn’t be more grateful for the opportunity to serve our communities with music lessons. Thanksgiving is everyday for us (sans the turkey). 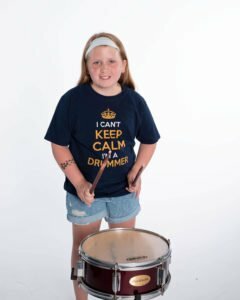 How does music help us and our families? Music has a unique ability to connect with our souls, bring peace, and untangle the most stressful day. Musicians will all agree that something amazing happens when they are making music–it’s a little like magic. Kids in school get better grades when they also study music. Music lights up the creative side of the brain and allows a creative outlet that brings calm and peace to crazy schedules and filled-up calendars. Kids who meet with their instructor once a week find a powerful mentor relationship: teaching, encouraging, leading, guiding. Encouragement is the best motivator and our teachers pour it out liberally! Kids who perform on stage feel a sense of accomplishment and pride that will follow them throughout life. They discover how to be nervous (and a little scared) and how to get on stage and perform anyway. The sense of accomplishment is off the charts and you’ll see their faces beam with pride as they exit the stage. This confidence carries into many areas of life. Students realize that nervousness can be conquered and the reward for “doing it anyway” is something to be championed! Music is so much more than learning an instrument! It teaches a love for the arts, a connection to something extremely powerful, and a way to express thought and emotions. Music gives students confidence and a sense of accomplishment! Parents, thank you for giving your child the gift of music! 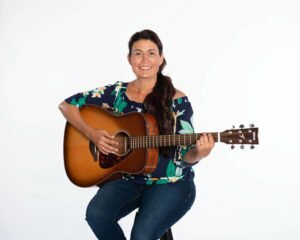 If you’re a musician, I hope you’re in lessons, too! There’s nothing better than sitting down to make music after a full, crazy day. Music is powerful and amazing and we are so blessed to bring incredible teachers and off-the-charts students together.